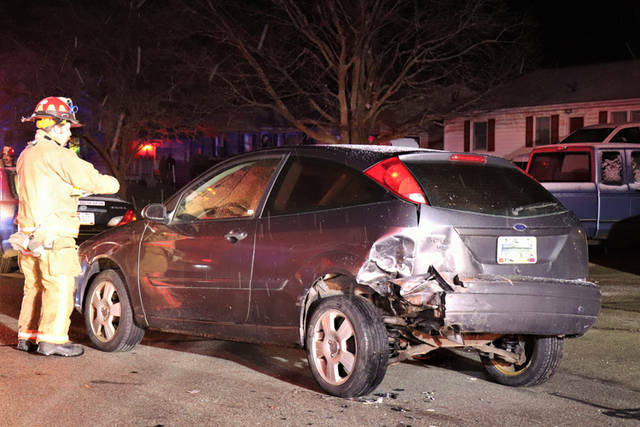 At least one child was injured in a crash Tuesday night in Arcanum that resulted in the driver being arrested on suspicion of operating a vehicle under the influence of alcohol and/or drugs. 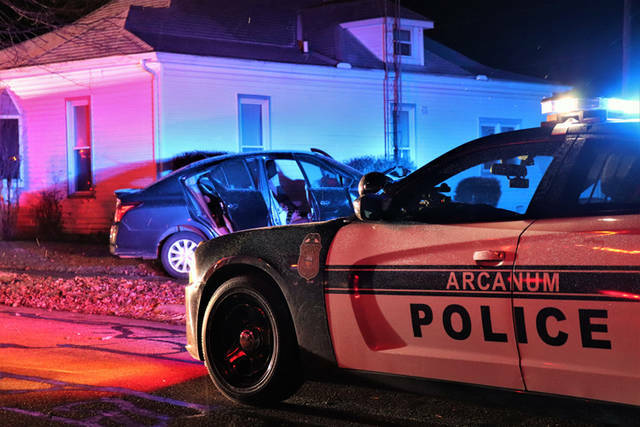 ARCANUM – A driver was arrested on the suspicion of operating a vehicle under the influence of alcohol and/or drugs Tuesday evening after being involved in an injury accident that left at least one child injured. At approximately 8:50 p.m., emergency personnel from Arcanum Fire and Rescue along with officers from the Arcanum Police Department as well as deputies from the Darke County Sheriff’s Department were dispatched to South High Street in the area of Miller Street in Arcanum in reference to an injury accident. 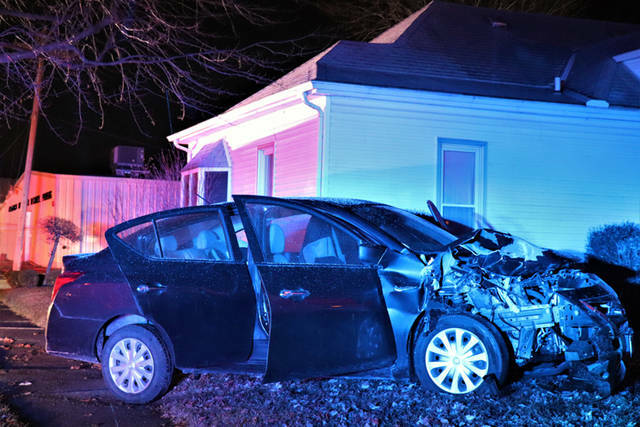 According to the Arcanum Police Department, a Nissan Versa was southbound on South High Street when it struck an unoccupied Ford Focus parked on the right side of the roadway. The Nissan continued to travel at least 40 yards before coming to rest in a private yard between two residential properties, coming within feet of a residence. Officers said the intoxicated female driver of the Nissan had three young children in the vehicle with her at the time of the crash. All three children were treated on the scene by Arcanum Rescue with two of the three being released on the scene to an adult male friend of the driver who was not involved in the accident. One juvenile was treated by EMS before being transported to Wayne HealthCare for facial injuries sustained in the accident. The female driver was placed under arrest for the suspicion of OVI after performing poorly on a field sobriety test and transported to the Darke County Sheriff’s Department for further testing. 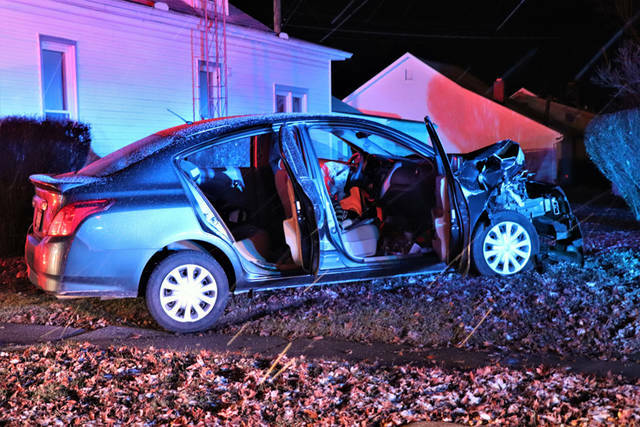 The accident will remain under investigation by the Arcanum Police Department. This entry was tagged Arcanum, Arcanum Fire and Rescue, Arcanum Fire Department, Arcanum Police Department, Arcanum Rescue, crash, Darke County Sheriff’s Department, OVI, Wayne HealthCare. Bookmark the permalink.